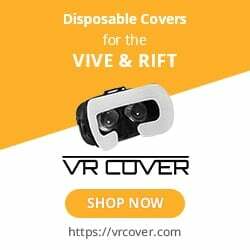 Tired of using a touch controller to catch a basketball or shoot a gun in VR? Seattle’s HaptX Inc. has unveiled their HaptX Gloves, the VR compatible haptic gloves that control how you feel and sense objects and actions as you play and exercise in virtual experiences. There are over 100 tiny areas of sensory feedback located on the fingertips and palm of the HaptX Gloves. Whatever you touch with your hand you’ll feel — including size, weight, and impact sensations in VR. If you pick up an object like a ball, tool, or weapon in a virtual world you’ll also feel the size and weight of it as well. If you have a ball thrown to you by a player in VR and catch it, you’ll feel up to 5 pounds of pressure on each finger. The dynamic force feedback allows virtual weapons to throw a safe amount of kickback in combat games, or simulate a feeling of impact to the player’s hands if you’re boxing or climbing, making gameplay more immersive and rewarding. You can’t get all that by using standard controllers. The haptic gloves are so reactive to VR environments you’ll feel like rain is really dropping on your skin but without all the wetness. This allows VR gyms and trainers the ability to fully immerse their clients and themselves in a workout. “Enterprise and entertainment users require a higher level of immersion than today’s VR controllers can deliver,” said Joe Michaels, Chief Revenue Officer at HaptX. The HaptX Gloves may show promise in military training simulations, but trainers and commercial VR gyms could benefit from having their clients play games with the glove on their hands. Developers who are interested in creating VR games that double as a strength training or cardio experience will love tinkering with the HaptX Gloves. The Haptx Gloves are currently available to “enterprises and organizations”, as well as developers who use Unreal, Unity and C++ API. If you’d like to become a partner go here to fill out a form. As of right now, there is no price tag, but you can bet that the price of the gloves will be out of the average consumer’s budget. My personal gripe is that the current design of the Haptx Gloves isn’t wireless but are tethered to the computer or VR system. I assume that they did that for better frame rate and faster rates of sensory input, which is fine. As it is, there is no telling how long the battery life holds up and how much body weight, if any, the gloves can withstand. The hardware tech looks delicate due to the numerous individual parts, wires, and sensors built into the gloves. So, you probably won’t be doing burpees, push ups or anything on the floor that involves gravity. HaptX is currently on a tech-tour, visiting locations in Florida, Washington, California, and Nevada in the months of November and December of this year and in January 2018. As they are now, the HaptX Gloves are in their prototype phase, looking to partner up with other VR companies who will help them design a sellable product that will be released in the future at an unspecific date. HaptX has their sights set on another long-term project as well, creating a full body haptic suit. We anticipate the release of both of these products, however, selected partners of the HaptX Gloves can expect their shipment in 2018. For the rest of us, we’ll just have to wait around to see if there will be a full public release.